POLICE IN THE North have begun a murder investigation after the body of Paul Gerard Curran was found in Armagh yesterday. 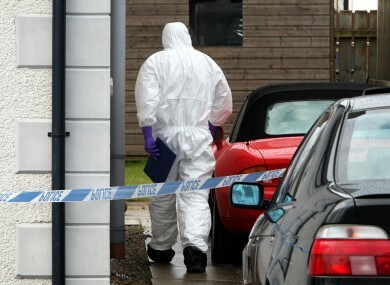 The 29-year-old was discovered at a house in Manor Drive in Lurgan shortly after 2.50pm yesterday afternoon. In a statement, detective chief inspector Eamonn Corrigan said that a post-mortem would now be carried out to determine the cause of death. He added: “Two men and a woman, all aged in their 30s, remain in police custody at this time in relation to the investigation”. Local DUP MLA Carla Lockhart said that Curran’s death was “shocking” and a “cause of concern to the wider community of Lurgan”. Corrigan urged anyone with information to contact detectives in Lurgan on 101, quoting reference number 639 09/03/17. Email “Murder inquiry begins in the North after body of 29-year-old found”. Feedback on “Murder inquiry begins in the North after body of 29-year-old found”.